Yesterday I gave you some quick reactions to Justin Trudeau’s new cabinet. Over the next few weeks, I'll take a closer look at some of the picks. Today, let's look at Stephane Dion, the new Foreign Affairs Minister. Dion is an old Chretien-era warhorse. I’m worried that, with him around, Canada will slide back into bad old Chretien habits, like sucking up to dictatorships like China. Yesterday, Dion had a message for Israel: Canada isn’t your special friend anymore. He said Canada was going back to its “honest broker” role — as in, we’d split the difference between good and evil. That's no surprise. Remember what Dion said after Hamas took power in 2006? That we should give more money to a terrorist dictatorship? With the appointment of Dion, it's clear the Harper doctrine of standing with democracies and against Muslim terrorists is over. Ah no, Jack, you don’t have a clue what you’re responding to. My comments are in regards to a video posted which claimed that Jews have a more legitimate ancestral claim to Israel than Palestinians. Good Lord. The liberals here are playing the semantics game again splitting hairs over who is a Semite. We all know what is meant by “anti-Semitism”. Perhaps it is a bad descriptor, and we should stick with “Judea bigotry?”. The point is it takes a certain amount of Jew loathing, and that includes self hating Reform Jews, to treat say the UK as a preferential partner, but treat Israel, another democracy doing its best to survive, as some sort of pariah. That is REALLY what is meant by Dion’s statement. Canada is going to return to blaming the victim, as Cretien did. Now try actually reading the paper, Charleton. You’ll find that it’s not talking about Jews and Palestinians simply sharing 98% of the same DNA. Because it would detract from the narrative that they’ve been indoctrinated into. Tresus moron all Homo sapient are 98% the same DNA. It is the 2% that differentiates people. That 2% you might consider insignificant but it determines characteristics of the Jews and all people. Thinks like hair, eyes, facial features skin colour etc. I am of course quite willing to blame Islam for their way Arabs behave. I agree that Edison is a disgusting piece of Canadian history. And, waiter, I found a hair in my soup. Edison is a corrupt, disgusting piece of Canadian history…of course the hair don’t picked him….that and the welfare recipients who voted for him…This is another example of how much Canada has become a sewer….glad I left. Sorry fellows, Jews and Palestinians are the same people. This isn’t new or controversial. JAY KELLY . . . Dion has always been a lieberal clown show . . . the Show Goes ON ! ! ! “but that was not what the video was about "
The video is about claiming Jews have been in Israel longer than Palestinians – this has been demonstrated to be BS by genetic science." Where’s your proof? Or is a proof is a proof for you Liberal wackos? Jay the term semitic referee to language and was derived from the Hebrew word Shem. It has evolved over centuries to refer to Jewish hatred. It did refer to language but no longer applies. Tresus that is bulls. Artifacts are being unearthed daily and they are Jewish. No Arab artifacts at all. Arabs invaded Palestine in the 7th century idiot, look it up. I wonder why the lefties never care that the Coptic Christians are the native people of Egypt? Tersus sorry your comment is BS. Jay Kelly, MUSLIM DESCENT?? The middle east was not Muslim in the first place, until they invaded and made people convert by the sword. The word ‘semite’ refers to Middle-Easterners whether they are of Jewish or Muslim descent. Those who are critical of ‘anti-semiticism’ should be careful of their wording. I think Stephane Dion is a good choice in cabinet. He will help return Canada to a mature relationship with the state of Israel. So, what should you believe when it comes to world news events? Written by the CIA etc to make you believe what they want you to. Apparently the Israelis are the worst at it according to Udo Ulfkotte. The video is about claiming Jews have been in Israel longer than Palestinians – this has been demonstrated to be BS by genetic science. “Tresus that is BS. All Homo sapiens are 98%the same. It is thatb2% that differetiates people . There may be some inter breeding but Jews are very different than Arabs. " And William . . . we do buy Billions of dollars of OIL from the Saudis . . . they seem to PREFER it in the East. and Justin hangs out in their radical Whabi mosques . . . So we sell them some stuff . . . what’s your point? Israel is the only Democracy . . . and a bastion of modern Technology and Development. Unlike its neighbors who just dabble in bombs and rockets . . .
Dion is a lame-brain . . . his command of English is suspect at best, and he says the dumbest things. THAT IS A QUESTION ., . . and Directed at YOU ? Complicated much? My outlook is “In times of Conflict . . . always side with the Civilized Man” . . . .
Dale Warren – “Isn’t Israel the ONLY Democracy in the Middle East? Are you recommending closer ties with despots and terrorists?”. Dale, let’s be realistic here. Both the U.S. and Canada routinely preach about democracy, human rights and the rule of law but yet have no problem abandoning them when it’s convenient. They’ll support the harshest dictators when it serves their interests so whether a country we’re dealing with is democratic or not is irrelevant. The Harper government for instance had no problem selling Saudi Arabia 10 billion dollars in military equipment even though they are probably the most radical and extreme sharia law country in the middle east and sponsor of terrorist organizations (15 of the 19 9/11 hijackers being Saudi was no coincidence). Women there are treated like property and they routinely lash and behead citizens for such crimes as criticizing the government and sorcery. I for one am ashamed that our country would even deal with this type of stone age, violent, radical muslim culture. So Dale Warren, the next time you’d like to preach about Canada abandoning it’s “democratic” dealings in the middle east I say we’ve already abandoned them long ago. The so-called Palestinians claimed to be remnants of Cannanites and Phillistines . . . they were NOT. The Jewish people have occupied the area consistently for 4 thousand years . . . If you are interested in finding out how this issue ends . . . . read the 12th Chapter of Zechariah . . . it is simply laid out so even a lieberal can understand. “They were never one is the same” . . . arabs were descendants of Ishmal . . . that is how izzzlam tries to tie their nonsense back to Abraham . . .
Life is tough when you meet History for the first time . . .
TRESUS CAPAX ? ? ? 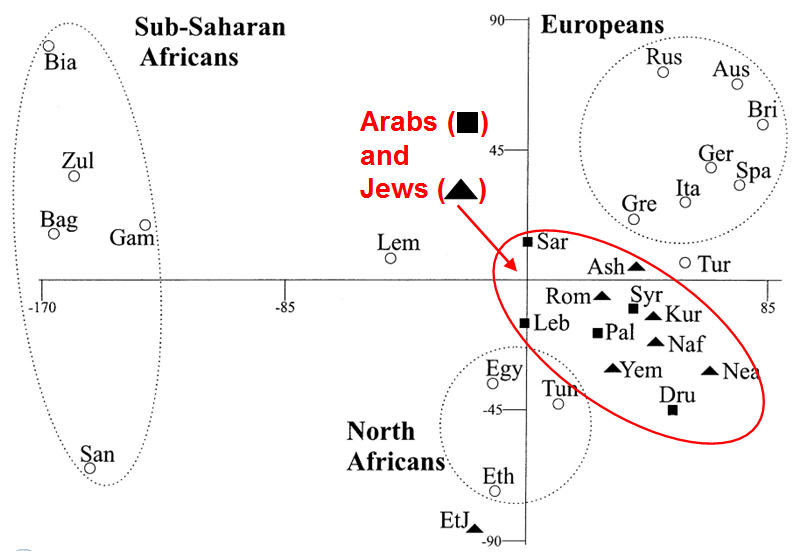 Of course Jews and arabs are all Semites . . . but that was not what the video was about . . . the so-called palestinians claimed to be remnants of ancient groups that had lived in the area . . . THEY ARE NOT ! ! ! Perhaps you need to watch it twice . . . to absorb the facts . . . is that you Justin? The both came from another area – because they were one-and-the-same before they inhabited present-day Israel. William Wiser . . . . perhaps you should take a trip to Europe and offer some of your advice . . .
What you see in Europe is coming here . . . and sooner than you think ! It’s 2015 William . . . wake up and smell the coffee . . . it’e been on for decades . . .
Isn’t Israel the ONLY Democracy in the Middle East? Are you recommending closer ties with despots and terrorists? @ Teej Johnston commented 7 hours ago – I am Jewish and I was uncomfortable with Harper’s cozying up with terrorist groups like the JDL. A friend will smack you upside the head when you are screwing up. Harper wasn’t Israel’s friend, he was Netenyahu’s sycophant. Perhaps yo are a Jew – and if you are you are the perfect example of why the rest of the world treats Israel the way they do at times. Go look in the mirror to see thew real problem. Someone should ask Dion if trudope tastes good. Finally Canada can have a mature relationship with Israel again.